My Favorite Art Place is recognized as an industry-leading integrated commercial and residential arts environments designer, creator and supplier. Founders and Owners Jerri and her late husband, abstract surrealist artist Scott Menaul, have brought over three decades of leadership in the visual communications and arts business. My Favorite Art Place specializes in fine art printing and custom and specialty framing with a high level of creativity using only top quality materials and craftsmanship. Essentially a giclée is the reproduction an original 2-dimensional work of art using a highly specialized printer. Giclée have a much higher resolution than offset lithographs and the dynamic color range is far greater than that of a serigraph. Giclée are produced using a high-resolution inkjet printer, which can spray ink as small as 1/100th the width of human hair, this process is generally regarded by the art industry as the highest quality reproduction available and in many cases are indistinguishable from the original artwork. The entire process of producing a fine art giclée is an artistic endeavor within itself, requiring a great deal of patience and skill. We employ experts in the field of high-resolution photography, color matching and printing on high-quality canvas. The final result is an exquisite artwork that does not need to be framed under glass and is of such high quality that giclée reproductions can be found on display at museums around the world, including The Louvre, The Metropolitan Museum of Art and the Guggenheim. What makes a giclée limited edition valuable? – Here are some of the reasons why an art buyer may consider purchasing a giclée artwork. – High-quality giclée is estimated to remain colorfast for 200 years or more. – The giclée printing process provides better color accuracy than almost any other means of reproduction. – Giclée are a wonderful cost-effective alternative and are often indistinguishable from the original painting. For practical reasons, there are many situations in which a cost-effective limited edition giclée could be the first choice. These include vacation homes; gifts, or display in executive offices, or any other environment in which you wish to maintain a level of quality, but in which an original work would not be practical, secure or cost-effective. What is the best size image for printing? The best image is always going to be the largest possible file size. And the most original image – so if you’d edited it – send us your edited piece as a guide – but also please send us the most native (original) image. Simply because you “file save” an image to be larger doesn’t always make it so – and we have tricks of the trade to improve the resolution of your image so it can go larger if that is your wish. You can send a file in the following format PSD, JPG or TIFF. If there ever is a problem, we will always contact you via phone or e-mail. What is MB, MP and DPI? A megabyte (MB) refers to the file size of an image. This is how much hard drive space it takes up on your computer. If you see any image that has a K after it, that means it is less than 1MB. Here is specific information on preparing and submitting artwork to be printed on heirloom quality Canvas. Quality printing starts with a quality product – your art or photographic image. If you have any questions about your file, please contact us. We are happy to help. Giclée (pronounced “zhee-clay“) is a method of producing high quality reproductions of artwork using special ink-jet printers. The term “giclée” was coined in the 1990′s when the technology was first developed. It is derived from the French words for “nozzle” and “to spray.” Giclées have since become the standard for reproductions in museums and fine art galleries. There is a difference between a giclée printer and other inkjet printers. The difference has to do with the quality of the ink. Quality refers to “stability” – the image doesn’t fade, it doesn’t shift in colors. Giclée prints are archival – meaning they last a long time. Just like any other fine art piece – you don’t want to put it in direct sunlight unless it’s been treated in some fashion – UV protectant or UV glass. But with good care the artwork will be heirloom quality. Giclées allow an artist to affordably produce on-demand artwork without the necessity of doing expensive print runs and keeping a large inventory. The artist also has finer control over the colors, sizes and quality and can even choose from a variety of substrates such as canvas, paper, watercolor paper and even vinyl. How do you make giclée prints? If the original piece of art is a painting, drawing, collage, photograph, etc. then the first step is to get a digital copy. Once we have a digital copy, we can use software like Photoshop to prep the piece for printing and make any changes or corrections. Giclée printers are very high end printers that are designed for making these types of art pieces. How long will my artwork last – aka What does Archival mean? How long should my image last? We use truly archival ink to last 200 years or so. We also use acid free papers and high quality canvas. 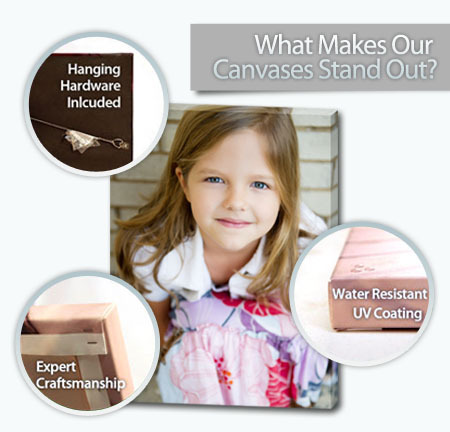 We spray a UV protective coating on all our canvases as well. As with any fine art – it is best to not have it in direct sunlight. If you have framed prints – you have the option of using UV glass to protect your artwork. We offer satisfaction guaranteed to all our professional partners. Photographers, artists and interior designers can utilize our in-house resources to create beautiful images for their customers. We have over 30 years of professional photography and art experience, and over 15 years experience printing for the trade. Our critical eye makes sure we deliver satisfaction guarantee. To discuss “For the Trade” pricing packages, call Jess at 727-797-1199. Digital capture of paintings, drawings and illustrations. Art reproduction on paper, canvas or specialty materials. Color-matched custom art services for interior designers. Don’t see what you’re looking for? Feel free to call or text us at 727-726-7411 and let us know. If we can’t do it in-house, we know someone who can! We are a Satisfaction Guaranteed Company. If you are not completely happy, we will work with you until you are or refund your money. Every member of our team is an artist who has years and years (decades even) of experience in their area. We are here because we love to create artwork that will be the finishing touch to your home or work environment. We only use the top of the line equipment and materials – Archival Inks, Cotton Canvas, and Papers, Wood Stretcher Bars, Quality Framing Materials. If you need a piece that not a standard size – No Problem – as everything we create is Custom. Each piece we create is custom so it goes through a number of quality control steps. While we typically as for 5-7 days to complete an order, if you’re in a rush we can typically get your work done for you before your guests arrive. Just let us know when you place your order. We have a staff of Designers and Photoshop experts that can handle every kind of project, from simple fixes to complicated retouching and damaged photo restoration, or a custom design to match your decor. All the work is performed in-house – from the design, restoration, to printing and custom art printing. And if this is being ordered for a location outside the Tampa Bay area we can ship it for you. We print everything from small prints to 10ft x 15ft stretched canvas! Just let us know how we can help you! We are happy to print anything that belongs to you. Any artwork that is the intellectual property of someone else, you need to get the rights to reproduce their images, and usually you must pay for the copyright release. This includes if a photographer shoots a session and you’ve not bought the rights to reprint on your own. However, you can give them our contact information and we can assist with getting print size files. Another option is Creative Commons. If you’re looking for content that you can freely and legally use, there is a giant pool of CC-licensed creativity available to you. Do You Reproduce Artwork? Can you reproduce artwork? Yes – whether you are a professional artist looking to reproduce your work for sale, or wanting to share precious family memories – we can help you. We start with a high quality digital capture. If there is any clean up (especially with older family photos or artwork) we can do that – and then create a high quality canvas or paper giclee to your size specifications. First Step – Give us a call at 727-726-7411 or 844 Art Place or send an email so info@MyFavoriteArtPlace so we can discuss your project. How large of an art piece can you make from my images? This is one of the most frequently asked questions that we get, and without seeing your file it is difficult to answer. It’s best for us to look at what you have and then we can tell you the possibilities. The short answer is we can blow up just about any image to various sizes. Below are some keys. Always use original: We often get images that are either the thumbnails or it was downloaded from Facebook, or your e-mail program downsized the image so that you are sending a smaller file size. We always need the original that is directly from the digital camera, that is what works best. It has the most information and is the largest file size. If you want it bigger: We have many tools we can use to make images larger. We are happy to send you an eproof. And if we cannot – then we can add an ‘art effect’ – (see below). What if all I have is a traditional print? If you are comfortable scanning it and own a scanner then read on, but you also have the option of sending the traditional print to us as well. If you have a flatbed scanner at home, you should have some options on how to scan. First try to scan in 8 bit or 16 bit color (if that is an option, if not just chose RGB). Then think about how large you want the image to be. If you are taking a small image, say a 4×6, and want that blown up to a 20×30, then you should scan at 100% at a very high resolution, 600dpi. This high resolution will allow us to easily take the image to it’s largest size. Usually the rule of thumb is to just scan at 100% in RGB mode at 300dpi. We can reproduce most sizes with that file. If you live in the Tampa Bay area – you can bring us your original and we’ll take a digital capture for you. The first step in the process of fine art reproduction is to evaluate the original for the best possible method of digital image capture. We find that most often, it is a high resolution photographic digital capture that is required. Our method does not touch, squish or press the piece, unlike scanners or other capturing methods. This is especially important for fragile, textured or framed pieces. The original artwork is photographed by a skilled professional, utilizing advanced photography equipment, in a light controlled environment which allows us to capture the subtle colors and minute details of brushstrokes and surface textures in order to create stunning reproductions. We then prepare your file for print implementing our proprietary color management system where we adjust the image to optimize its color palette and range in order to create a reproduction that truly captures the essence and beauty of the original work. Color proofing and digital restoration can be the most time consuming and labor intensive step of the process. Once we receive the file, we utilize professional techniques to edit your image and create a master file. All imperfections are then removed, color is matched to the original and any restorative work is performed in order to ensure the highest quality output. We evaluate color, detail, brightness, contrast, lighting, imperfections, textures and brush strokes and then create several proofs to match to the original prior to producing the final proof for the artist. Can I supply you my digital file? Yes – you have the option of supplying us with a digital file, the original work or a transparency of the original piece. Client supplied, high-resolution, digital files of the work may be subject to an additional “proofing” charge if you want us to color match it with the original. If we do not create the initial digital capture, we must charge to create a color proof. The charge is $15 a test proof. This is because of the time and materials involved in the creation of such a proof from someone else’s files. Do you Color Calibrate with Artists / Photographers? – Yes we do. We appreciate when any artist is willing to go through the very simple process of color calibrating with our system – as that streamlines our ability to reproduce your work quickly. Just ask us and we’ll explain the process. What can we expect regarding color matching? Most of the time we get very close in color. Some shades of colors are more challenging than others since paint and printing inks are very different and reflect light very differently. Color matching is an art rather than a science with numerous variables. What is good or acceptable color reproduction is a subjective evaluation. In fact, different people perceive color differently. We take the time and effort to deliver a reproduction that most people agree is an excellent color reproduction. Multiple proofs are made per image to help with the correction of the color- depending on the difficulty of the painting’s color. What colors are the most challenging to match? –Certain colors of paint are “out of gamut” of the printing inks, meaning that they just can’t be reproduced perfectly by today’s printing inks. Our printer uses eleven ink colors and does a better job of color reproduction than other printers in the marketp lace. Other printers may have only four or six colors. Metallic colors (silver/gold) often look flat when reproduced since the original is viewed with slight movement of the painting or movement of the viewer which cause the metallic colors to glisten. How does daylight vs. indoor lighting effect color? Daylight is full spectrum (all colors). Indoor lighting (tungsten, fluorescent, halogen) do not contain all the colors and can cause the original and the print to appear differently under different lighting. When a painting has varnish on it – how does that affect the digital capture and reproduction of art? When the art is very shiny and has texture, there can be problems with specular highlights (shiny reflections). We have techniques for compensating for this that take additional time. If possible, we prefer to photograph the painting before it is varnished. What is the effect of texture on a painting or photograph to the process of digital capture? Deep texture in a painting can be lost with flat even lighting (which is preferable in most cases). If we want to capture the effect of deep texture where shadows appear below the thick paint, we will adjust our lighting to be from above and more directional. Texture in photographs will appear in the reproduction. In enlargements, the texture will be more prominent the larger the reproduction is. The texture in large reproductions may become undesirable. This should be taken into account when deciding how large to make a print. What is the difference between exact color matching and reasonable color matching? One can make a large number of successive color adjustments and proofs consuming much time, paper and ink to attempt exact color matching. There reaches a point where the color is close enough that most people agree that it is an excellent reproduction. This is the point that we call reasonable color matching. Many people talk to us about the difference between typical offset printing (books, magazines, brochures) and the types of printing we do – which is Fine Art Printing. One of the biggest difference is how the images reproduce. The purpose of this post is to help educate to maintain expectations. When you look at a TV, cell phone, monitor, digital camera, what you see is lit from behind and produced with three colors red, green and blue (RGB) light to display the image. When you read a magazine, newspaper, book, most brochures – they have been produced on a commercial printing press using four colors – cyan, magenta, yellow and black (CMYK) ink, called process printing. With many colors, and images – especially if you’re looking at large expanses of color, If you look at the same image as an RGB image vs. a CMYK image – it will differ. Sometimes there are tricks that can be employed to bring it closer. Sometimes it is simply impossible to reproduce exactly. This is part of the difference between “Exact Color Match” and “Pleasing Color Match.” It is good to know this. What can we expect regarding color matching? Most of the time we get very close in color. Some shades of color are more challenging than others since paint and printing inks are very different and reflect light very differently. Color matching is an art rather than a science with numerous variables. What is good or acceptable color reproduction is a subjective evaluation. In fact, different people perceive color differently. We take the time and effort to deliver a reproduction that most people agree is an excellent color reproduction. What colors are the most challenging to match –Certain colors of paint are “out of gamut” of the printing inks, meaning that they just can’t be reproduced perfectly by today’s printing inks. Our printer uses eleven ink colors and does a better job of color reproduction than other printers in the marketplace. Other printers may have only four or six colors. How does daylight vs. indoor lighting affect color? Daylight is full spectrum (all colors). Indoor lighting (tungsten, fluorescent, halogen) do not contain all the colors and can cause the original and the print to appear differently under different lighting. Texture in photographs will appear in the reproduction. In enlargements, the texture will be more prominent the larger the reproduction. The texture in large enlargements may become undesirable. This should be taken into account when deciding how large to make a print. What is considered a “larger piece” and how is it different capturing a larger piece – e.g. 3ft x 4ft. Larger pieces than 3 ft x 4 ft may require more lights. Instead of two lights, we go to four or more lights so that we get even lighting across the piece. This takes more time to set up requiring the use of a light meter and moving the lights until it is even across the piece. Depending upon the size, we may charge more for oversized digital captures (complex capture: see below). What is the difference between exact color matching and reasonable color matching. One can make a large number of successive color adjustments and proofs consuming much time, paper and ink to attempt exact color matching. There reaches a point where the color is close enough that most people agree that it is an excellent reproduction. This is the point that we call reasonable color matching. Why do you charge to copy files to a CD or a thumb drive. We provide three different files: large, medium and web sized. We like to name the files with the name of the piece. When we create a CD, we custom print on the CD so that everyone can identify the CD by name, job number and date. This takes time to create the different sized files and custom printed CDs. What size files should I have? We provide a full resolution file produced by the camera or scanner for full-sized giclee reproduction, a print file for magazine or print production and a web sized file for websites or emailing. We can provide other sized files as requested to meet the specific requirements of juried shows or other uses. What is your process regarding cleanup of a digital capture? There are a variety of techniques and tools to clean up an image, including: image cloning, spotting, digital painting, color enhancement, color adjustment, brightness/contrast, color painting, etc. Once we see the original, we can estimate how long it will take to clean up an image and see to what degree the client wants it restored. Many times a client will ask us to spend a certain number of hours and then evaluate the image to see if more enhancement is desired. Do I have to pay for proofs and if so, why do I have to pay for proofs? Proofs take time and material to create. Not everyone wants a proof, so we keep our price for digital capture lower by not including the cost of a proof with the digital capture. What size file can be delivered? Our camera captures 5616 x 2744 pixels resulting in a 60Mb file. We can print a 30” x 40” reproduction from this. If a larger reproduction is required, we do what is called a “complex capture” (see below). What size file can be delivered? If a larger reproduction is required, the artwork can be photographed in sections and the pieces can be seamlessly stitched together resulting in much larger files. The size of the file depends upon the size of the sections captured and stitched. Every Giclée canvas we produce is coated with a UV protectant. You can damp wipe and / or dust your artwork regularly with a dry feather duster. Metallic canvas Giclée prints however can only be cleaned with a dry feather duster- NO LIQUIDS!